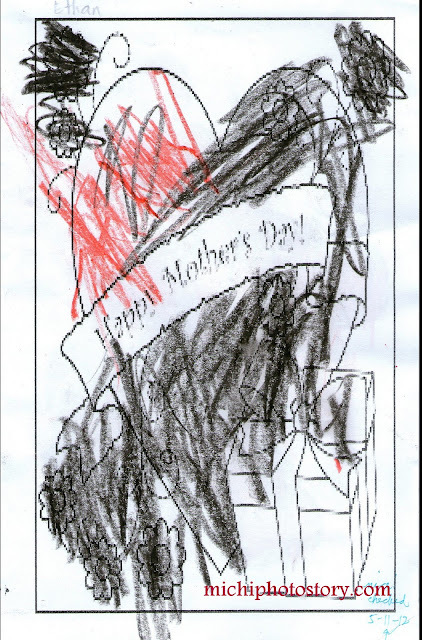 My son gave me an advance gift for Mother’s day; this is the second mother’s day card that I received from him. Though last year was much better, #choosy, you can click here to view my first mother’s day card. But I appreciate his effort for coloring this card because I know he doesn’t like to color na. I always say that my son loves to color but now I don’t know what is happening. I always notice this on his teacher remarks. Some kids are born lucky, they get to have the best kinda mom and I'm the luckiest coz you are mine! Happy Mother's Day Mom! 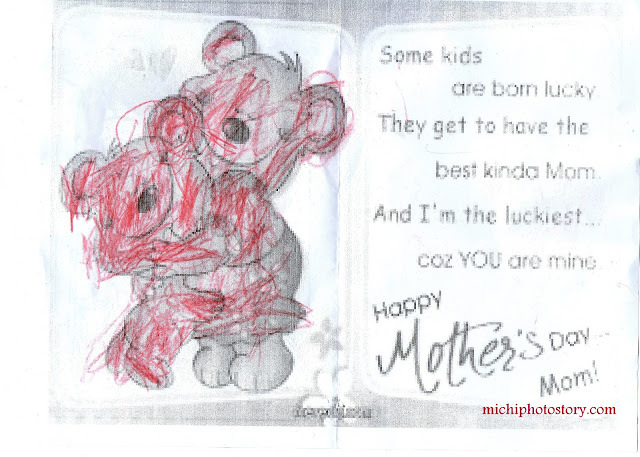 Still the best card ever for a loving mother aiyt? Happy Mother's Day! am a new follower... hope you could follow me back and link me up too? :-) thanks so much! anyway, receiving a little something from your little one is always touching. 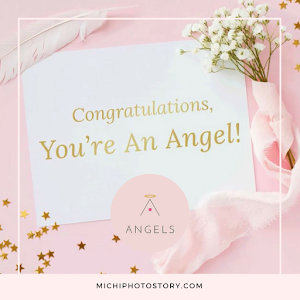 happy for you michi. Happy Mom's day!